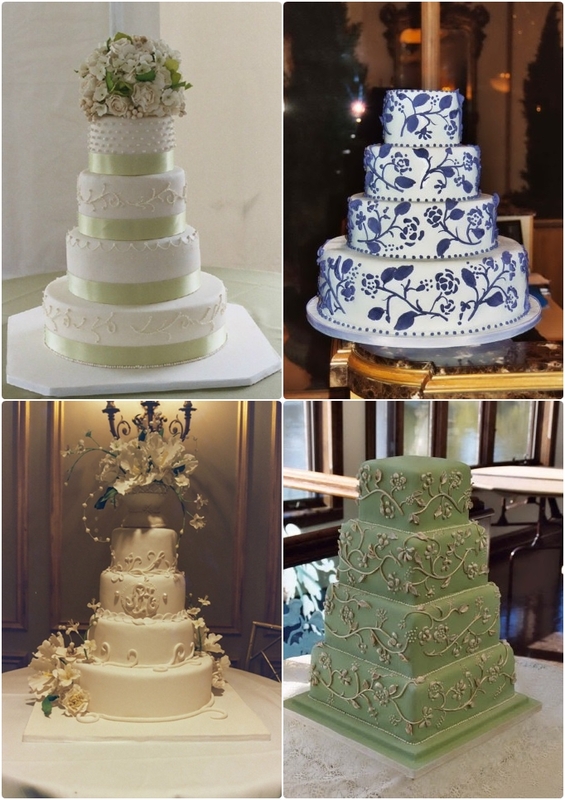 Wedding cake – Buttercream or fondant? Wedding cake is one of the focal points of a wedding. Guests are usually curious to see how the wedding cake looks like, what the fillings are and how it will taste. The two most common types of wedding cakes are butter cream cakes and fondant cakes. A common question of brides-to-be is whether they should have a fondant or buttercream wedding cake. This article will list all the pros and cons of each type of wedding cake icing so that you can decide the wedding cake type that is more suitable for you. What are buttercream and fondant icing / frosting? Buttercream is basically made by creaming butter with powdered sugar. Buttercream icing is normally fluffy and slightly sweet. Fondant is on the other hand is a thick and smooth icing made from sugar. Fondant can be rolled and draped on top of a cake and makes a very smooth porcelain-like finish. Because it is much easier to handle and form shapes with fondant, the wedding cake usually looks more attractive and creative designs can be made easier with fondant icing. The wedding cake surface had a velvet look after covered with fondant. Fondant wedding cakes can also keep its shape for longer hours in room temperature than buttercream cakes. Many pastry chefs do not use buttercream icing often during hot months as it is easy to melt in room temperature. Buttercream icing when handled carefully can also result in a clean and smooth surface. However it is more difficult to make complicated design with buttercream icing as it is not as heavy and as thick as fondant. Fondant wedding cake is much more costly than buttercream wedding cake. A slice of a fondant wedding cake can cost $7 – $8 while a slice of buttercream cake of the same size costs around $4. Fondant is more expensive as it takes longer to make and is more labor intensive. Buttercream icing tastes refreshing, fluffy with a light sweetness. Fondant icing on the other hand is not as tasty because it is a lot sweeter than buttercream icing. There are different types of fondant though, and each varies a bit in taste and texture. You can ask the baker what type of fondant tastes the best, if you are determine to go for a fondant cake. If you do not want to compromise between taste and appearance, you can combine both types of icing on your wedding cake. You can have a buttercream icing with a thin layer of fondant icing on top. This way the cake can still look smooth and sharp and you can still taste the fluffy buttercream icing inside. Fruits are the most popular wedding cake filling. You can make your wedding cake a hot discussion during the wedding by putting in many types of fruit fillings. The fillings act as a surprise factor for guests and it usually wow the guests if there are different types of fillings inside. If you are going for a total fondant wedding cake, a lot of fruit fillings also override the over sweet flavor of the fondant icing. A good tip to cut the wedding cake costs is by having a smaller nicely decorated cake for the cutting ceremony. Once the cake is brought to the backstage to slice, a sheet cake can be sliced and served to the guests. They will not notice any difference and you will save a lot of money from your wedding cake costs.